Do I Really Need A UPS for MainStage Keyboard Programming? An issue that comes up frequently when I’m setting up MainStage keyboard programming for new theatrical productions is whether or not to use a UPS for the keyboard and backing track rigs. There are several ways of approaching this issue, and after setting up shows both with and without UPS units, I have some insights on the matter that I believe are worth sharing. A UPS (uninterruptable power supply) is typically used to provide emergency power via an internal battery when the main source of power is interrupted. This protects against damage to your computers and loss of data. 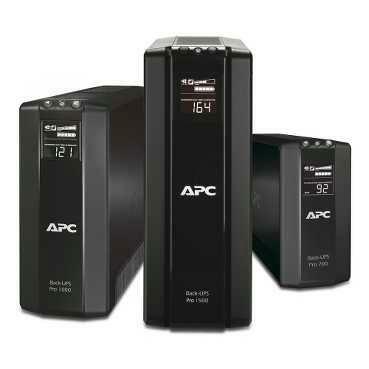 Many UPS units also provide some degree of power conditioning. The unit is perfectly fine for this and will give you just enough power to save and properly power down. However, you’ll want to measure the power output of all of the items in your rig and use a unit that will provide enough power to function properly in the event of a power failure. As the sound department already has a UPS unit on the power feed going to the pit, an additional UPS in the pit is redundant. More importantly, as a synth programmer, I’m not in the theatre every performance so there’s no way to know if a UPS has been powered down. If the UPS isn’t powered down on a regular basis, the battery is constantly getting drained and the unit loses its efficacy. Eventually, this can cause the UPS to malfunction and not power up the rig, which can be rather inconvenient just prior to a performance. By using only a power distro unit without a UPS, I can have the players power down the computers and let the rest of the rig power down on its own when the sound department turns off their power. This is actually much easier for all involved and just as effective. Additionally, if the show is a touring production, using a power distro unit instead of a UPS makes the keyboard rig MUCH lighter and easier to move. It’s also much more cost effective. If performing in a club, community theatre, or place of worship, it can make much more sense to use a UPS as there tend to be few, if any, protocols in place in these situations, thus making them somewhat unpredictable. On a rig in your home, I’d suggest always using a UPS to protect against power failure. So it’s not necessarily a clear answer on the UPS issue. It all depends on the situation. Hopefully, this article shed some light based based on my personal experience in the field with UPS units and power conditioners.